1. It's not that I haven't been wondering since the last time I did a Weekly Wonderings. It's just that I haven't been sharing the tidbits. 2. Try not to be so thankful for the hiatus. 3. I believe it is nigh impossible for anyone who has seen the movie Up not to have a squirrel pass her line of vision and not stop, point like Dug and say, aloud and in Dug's voice, "SQUIRREL!" 4. And it's impossible to not do that even when you're walking alone with no children to pretend to be amusing. 5. If there were enough spiders the size of the one we trapped the other night, I'd be worried. 6. Mostly I'd be worried that they'd join up with the stick demons and rule the world. 7. Or at least rule my house. 8. "Does she come from the same place as Fez?" Youngest wants to know about a mother of one of the boys on his soccer team. 9. Pete doesn't understand what the heck the kid is saying. I do. That's what we get for watching an episode of "That 70's Show" each night with the kids. 10. 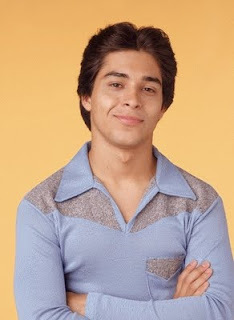 Do you find it amusing that the first image found when Googling "fez" is this one? Stick demans are sacry effers for sure. That's a lot of deep thought on a Monday morning.